Pickled Pirate! : A Pirate Looks At Politics! A Pirate Looks At Politics! As some of you may already know, the Pickled Pirate has been campaigning for a seat on the council of the Key West and the Florida Keys Honorary Mayor Gonzo Mays. Well, I'm proud to say that I have been chosen to be on the council! Woo hoo ... I'm a tickled pickle! I'll be indoctrinated into the honorary council some time next week, and then there's lots of fun and adventure ahead! What's all the fuss you may ask? Well, Key West and the Florida Keys Honorary Mayor Gonzo Mays (Sammie Mays), is a legend down South and she's been busy dishing out political favors in Key West, as well as marrying couples, accepting bribes, and attending parties, boating excursions and dinners. The Honorary Mayor also has written for the National Enquirer, and is currently writing for Parrot Entertainment magazine. In fact, she's been so busy doing such things that it's cutting into her drinking time and she needs some assistance. That's where I, the "Pickled Pirate" come in! 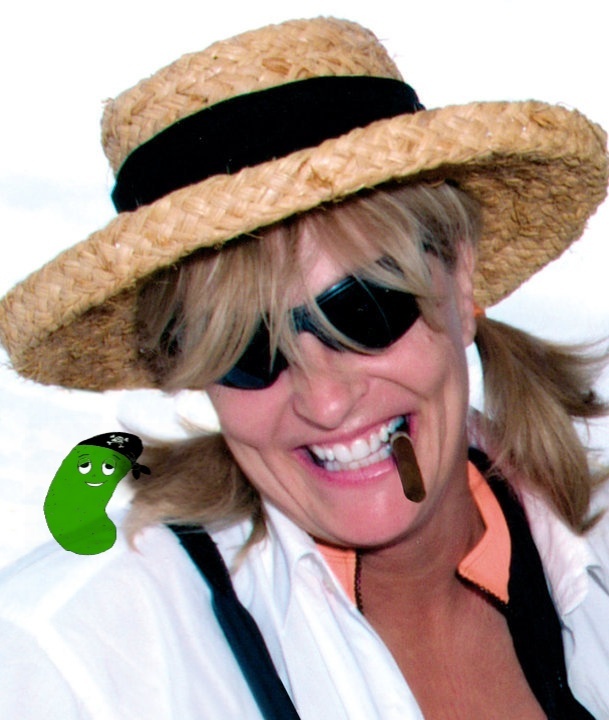 The Pickle, as well as others on the honorary council, will be assisting Key West and the Florida Keys Honorary Mayor Gonzo Mays in various activities and may just have to hit a few watering holes along the way. With all of this excitement, I think this pickle needs to "chill" and have a drink! Stay tuned and check out the Key West and the Florida Keys Honorary Mayor Gonzo Mays Facebook page for the latest news and events. I'm sure you'll "LIKE" it!